Pickup trucks allow you to get the Plant City job done, and finding used trucks under $20,000 at Stingray Chevrolet makes the job easier. The Chevrolet Silverado is a diverse pickup truck that comes in a variety of styles, and you can easily find the model you love at the price you can afford when you visit our dealership today. Red 2011 Ford F-150 Lariat 4WD 6-Speed Automatic Electronic 5.0L V8 FFVRecent Arrival! Odometer is 36952 miles below market average!Awards:* 2011 KBB.com Brand Image AwardsVisit our virtual showroom 24/7 @ www.stingraychevrolet.com. Affordable pricing: You don’t have the break the bank when you purchase a pickup truck from our dealership. Trade in program: If you want to upgrade your current %%target_cities_1%% ride to something else, our trade-in program makes it easy for you to do just that. Lower payments: If you are financing your used truck purchase, you can get a low down payment and low monthly payments that fit your budget. 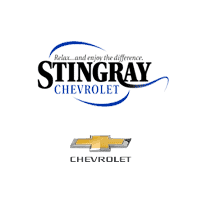 When you’re ready to explore a used truck under $20,000, be sure to visit Stingray Chevrolet today. See our vehicle inventory online or apply for financing today to get started on your journey to bring a new-to-you model home to %%target_cities_2%%.